2015-16 – WBLSports.com | The Official Site of the Western Buckeye League for wbl news, wbl scores and wbl standings. 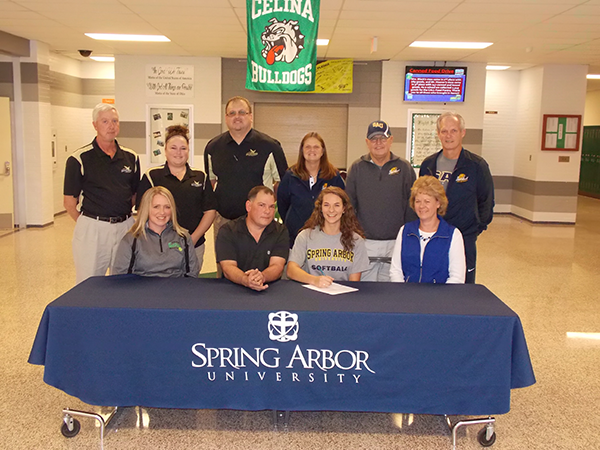 Celina’s Melody Donovan signed to play softball with Spring Arbor University. By admin|2016-06-01T20:54:16-04:00May 26th, 2016|2015-16, Celina Bulldogs, College Signings/Verbals, News, Scores, Softball, WBL|Comments Off on Celina’s Melody Donovan signed to play softball with Spring Arbor University. Shawnee’s Ian Hasting signed to play golf at Alderson Broaddus University. By admin|2016-04-27T00:21:09-04:00April 25th, 2016|2015-16, College Signings/Verbals, Golf Boys, Scores, Shawnee Indians, WBL|Comments Off on Shawnee’s Ian Hasting signed to play golf at Alderson Broaddus University. Shawnee’s Alyssa Miller signed to play volleyball at Rhodes State College. By admin|2016-04-27T00:23:40-04:00April 25th, 2016|2015-16, College Signings/Verbals, Scores, Shawnee Indians, Volleyball, WBL|Comments Off on Shawnee’s Alyssa Miller signed to play volleyball at Rhodes State College. Shawnee’s Noah Curl signed to swim at Malone College. By admin|2016-04-27T00:18:16-04:00April 25th, 2016|2015-16, College Signings/Verbals, Scores, Shawnee Indians, Swimming Boys, WBL|Comments Off on Shawnee’s Noah Curl signed to swim at Malone College. Celina’s Stephanie Walter signed to play softball at the University of Northwestern Ohio. By admin|2016-04-24T17:59:21-04:00April 24th, 2016|2015-16, Celina Bulldogs, College Signings/Verbals, Scores, Softball, WBL|Comments Off on Celina’s Stephanie Walter signed to play softball at the University of Northwestern Ohio. 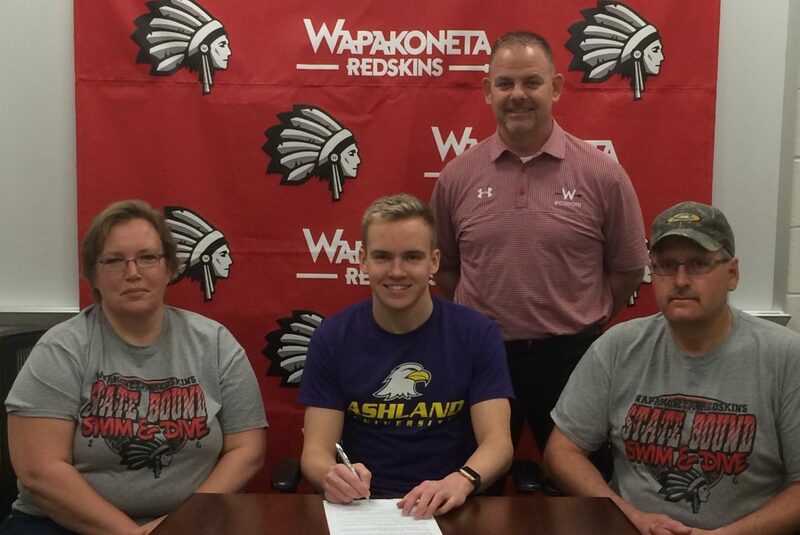 Wapakoneta’s Charlie Sutton signed to swim for Ashland University. Wapakoneta’s Charlie Sutton signed to swim for Ashland University. Charlie owns 9 of the 11 school records in swimming and has been the WBL Champion in the 50, 100, and 200 Freestyle, the 200 Freestyle Relay and the 200 Medley Relay. This season, Charlie was the District Champion in the 50 and 100 Freestyle and finished 4th in the state in both events, and was part of the 200 Freestyle Relay that finished 6th and the 400 Freestyle Relay that finished 8th. By admin|2016-04-24T17:59:02-04:00April 24th, 2016|2015-16, College Signings/Verbals, Scores, Swimming Boys, Wapakoneta Redskins, WBL|Comments Off on Wapakoneta’s Charlie Sutton signed to swim for Ashland University. 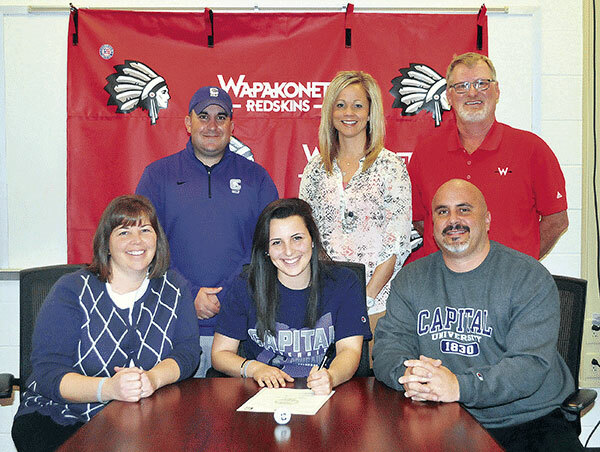 Wapakoneta’s Sierra Sammons will continue her education and play golf at Capital University. By admin|2016-04-14T20:38:39-04:00April 14th, 2016|2015-16, College Signings/Verbals, Golf Girls, Scores, Wapakoneta Redskins|Comments Off on Wapakoneta’s Sierra Sammons will continue her education and play golf at Capital University. Celina’s Caelyn Reineke will continue her education and play soccer at Capital University. 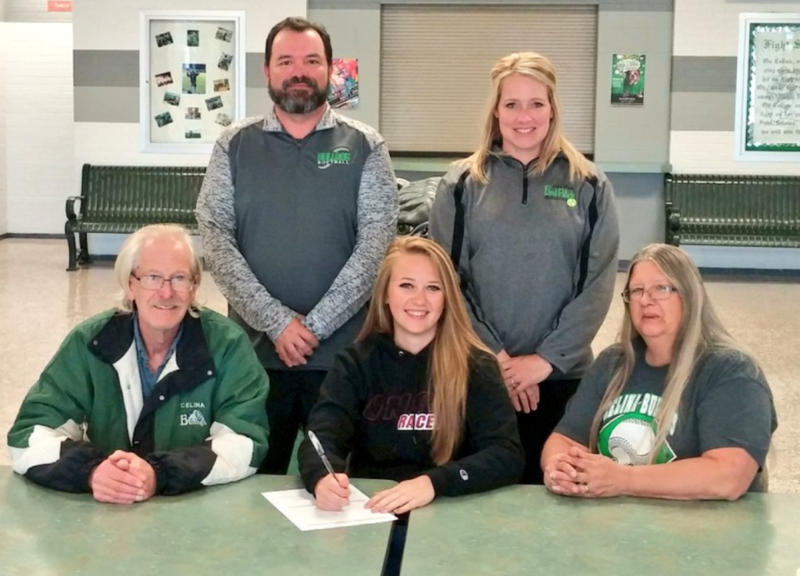 By admin|2016-04-03T21:09:10-04:00April 3rd, 2016|2015-16, Celina Bulldogs, College Signings/Verbals, Scores, Soccer Girls|Comments Off on Celina’s Caelyn Reineke will continue her education and play soccer at Capital University. 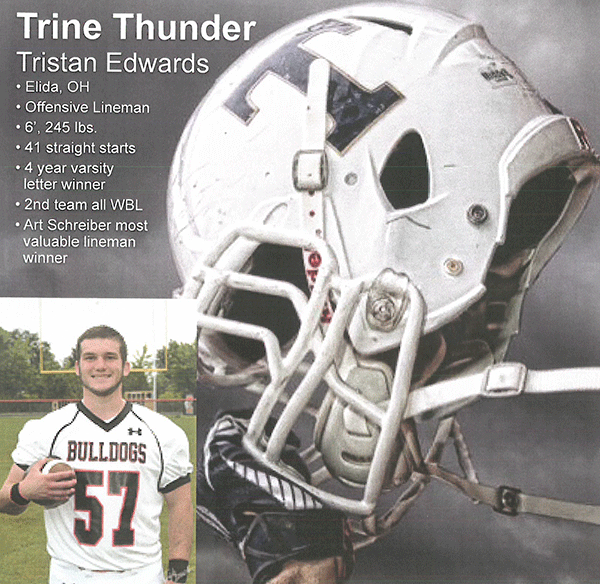 Elida’s Tristan Edwards will continue his education and play football for Trine University. 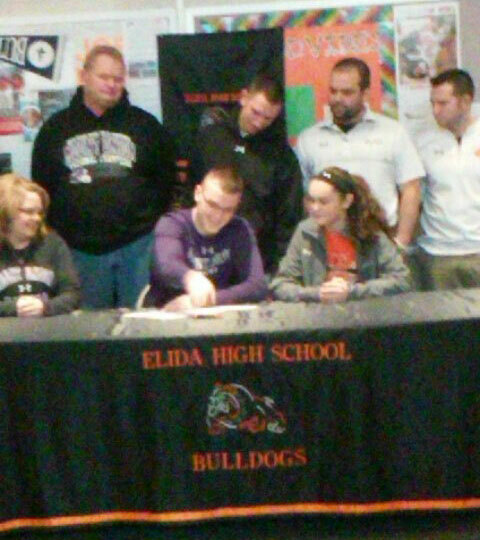 By admin|2016-03-27T22:21:55-04:00March 27th, 2016|2015-16, College Signings/Verbals, Elida Bulldogs, Football, Scores|Comments Off on Elida’s Tristan Edwards will continue his education and play football for Trine University. Celina’s Braden Conn signed to play soccer at The University of Saint Francis. 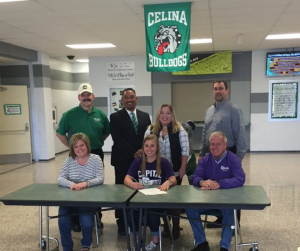 By admin|2016-02-19T00:03:00-04:00February 19th, 2016|2015-16, Celina Bulldogs, College Signings/Verbals, Scores, Soccer Boys|Comments Off on Celina’s Braden Conn signed to play soccer at The University of Saint Francis. 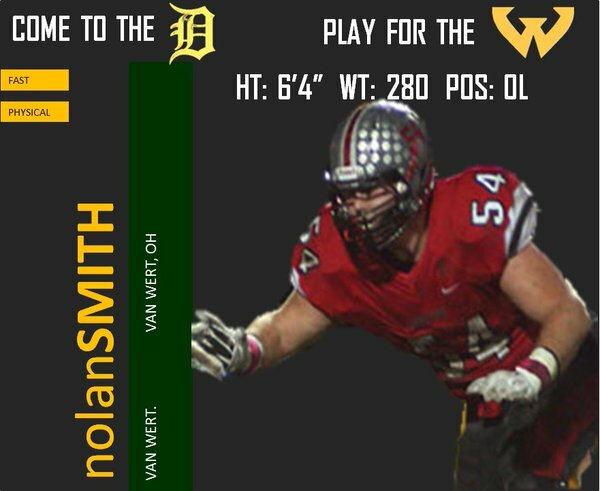 Van Wert’s Nolan Smith signed to play football with Wayne State University. 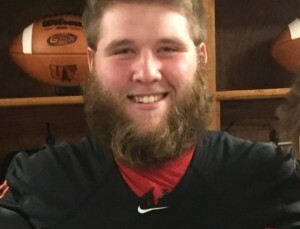 Was a four-year letterwinner for coach Keith Recker … voted to the All-Western Buckeye League First Team as a senior as well as co-Offensive Lineman of the Year in the conference … selected to the 2015 Tri-County All-Dream Team … named to the 2015 Associated Press Division IV All-State Special Mention Team … also wrestled for the Cougars. 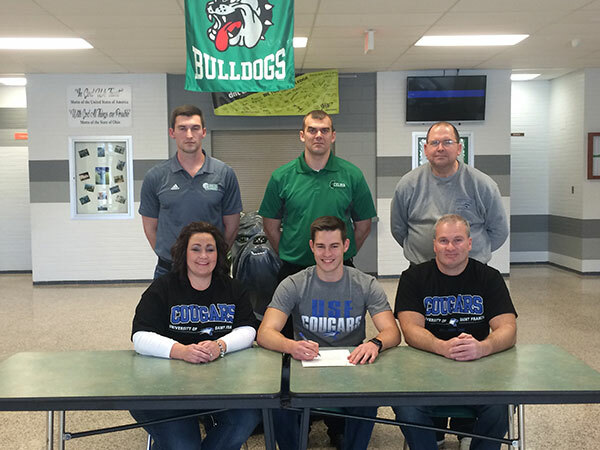 By admin|2016-02-07T22:57:51-04:00February 3rd, 2016|2015-16, College Signings/Verbals, Football, Scores, Van Wert Cougars|Comments Off on Van Wert’s Nolan Smith signed to play football with Wayne State University. Elida’s Logan Alexander will continue his education and play football at the University of Mount Union. 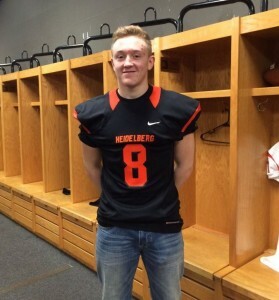 By admin|2016-02-08T00:03:11-04:00February 3rd, 2016|2015-16, College Signings/Verbals, Elida Bulldogs, Football, Scores|Comments Off on Elida’s Logan Alexander will continue his education and play football at the University of Mount Union. Van Wert’s Gavin Gardner signed to play football at the University of Saint Francis. 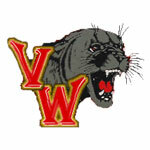 By admin|2016-02-07T23:46:22-04:00February 3rd, 2016|2015-16, College Signings/Verbals, Football, Scores, Van Wert Cougars|Comments Off on Van Wert’s Gavin Gardner signed to play football at the University of Saint Francis. 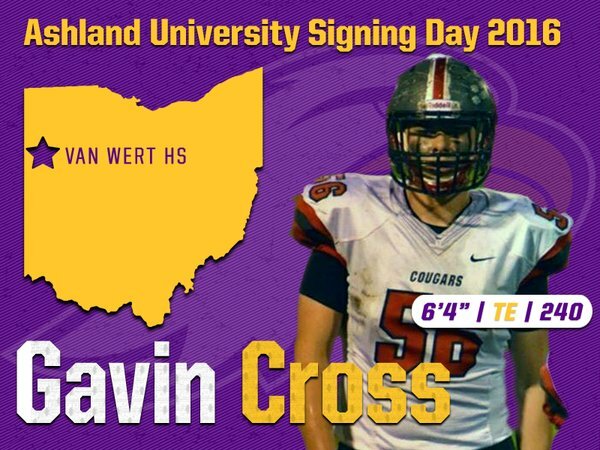 Van Wert’s Gavin Cross signed to play football with Ashland University. Earned honorable mention All-Northwest District and second-team All-Western Buckeye League honors…A two-time varsity letter winner in both football and basketball. 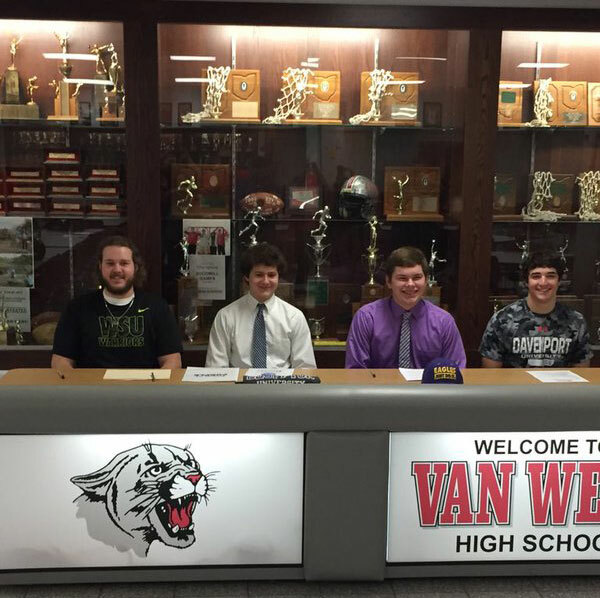 By admin|2016-02-07T22:49:50-04:00February 3rd, 2016|2015-16, College Signings/Verbals, Football, Scores, Van Wert Cougars|Comments Off on Van Wert’s Gavin Cross signed to play football with Ashland University. Van Wert’s Tryston Cowan will continue his education and play football for Bluffton University. By admin|2016-02-07T23:38:37-04:00February 3rd, 2016|2015-16, College Signings/Verbals, Football, Scores, Van Wert Cougars|Comments Off on Van Wert’s Tryston Cowan will continue his education and play football for Bluffton University. Wapakoneta’s Corey Crawford signed to play football with the University of Findlay. Bio Information: Was voted first team all-Ohio…Earned Western Buckeye League honors for Offensive Lineman and Defensive Lineman of the Year…Earned first team all-league honors…Was a first team all-district pick. By admin|2016-02-07T22:38:38-04:00February 3rd, 2016|2015-16, College Signings/Verbals, Football, Scores, Wapakoneta Redskins|Comments Off on Wapakoneta’s Corey Crawford signed to play football with the University of Findlay. Bath’s Easton Rudasill signed to play football with Saginaw Valley State. 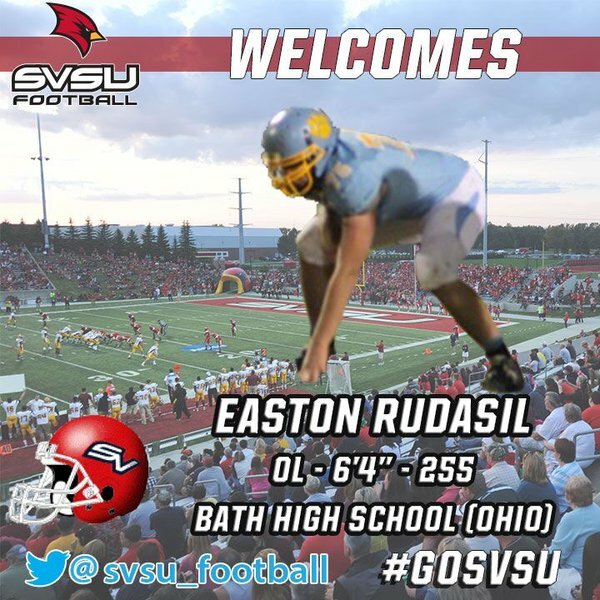 By admin|2016-02-07T22:27:09-04:00February 3rd, 2016|2015-16, Bath Wildcats, College Signings/Verbals, Football, Scores|Comments Off on Bath’s Easton Rudasill signed to play football with Saginaw Valley State. Bath’s Tyler Shobe signed to play football at Cincinnati Christian University. 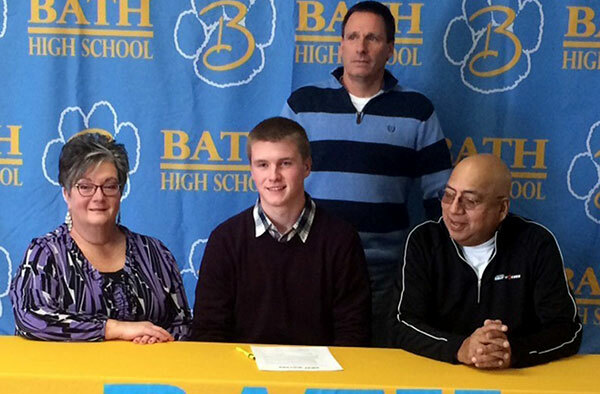 By admin|2016-02-07T22:20:21-04:00February 3rd, 2016|2015-16, Bath Wildcats, College Signings/Verbals, Football, Scores|Comments Off on Bath’s Tyler Shobe signed to play football at Cincinnati Christian University. Bath’s Spencer Stubbs signed to play golf at Lourdes University. By admin|2016-02-08T00:12:16-04:00February 3rd, 2016|2015-16, Bath Wildcats, College Signings/Verbals|Comments Off on Bath’s Spencer Stubbs signed to play golf at Lourdes University. Wapakoneta’s Zach Chambers will continue his education and play football at Heidelberg University. 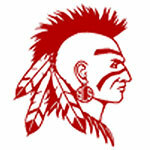 By admin|2016-02-07T22:10:42-04:00February 3rd, 2016|2015-16, College Signings/Verbals, Football, Scores, Wapakoneta Redskins|Comments Off on Wapakoneta’s Zach Chambers will continue his education and play football at Heidelberg University.